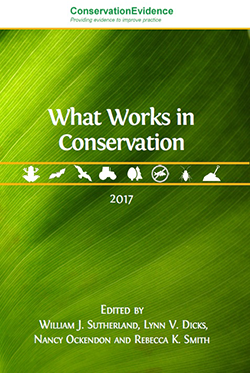 What Works in Conservation provides expert assessment of the effectiveness of interventions based on the summarised evidence in synopses. These assessments are available in the searchable database, and the full publication can be downloaded as a pdf or purchased from OpenBook Publishers. 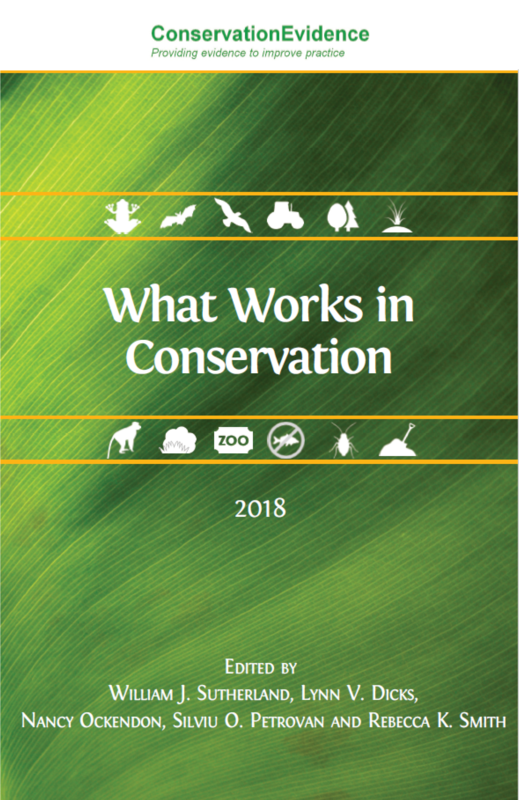 Read more on our What is What Works in Conservation page. These are for reference only as all information/updated information is included in the most recent edition.